Singer Julian Casablancas, once was regarded as the saviour of rock 'n roll as singer of The Strokes. This has long passed and his first solo album was considered a failure. 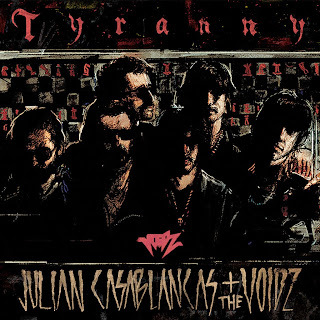 He's about to release his second one Tyranny where he's teaming up the band The Voidz who are signed to his label. Will this record get more love? Judge for yourself by listening below. Tyranny is out on September 23rd.